The South American Bush Dog has adapted to living in a variety of environmental types. 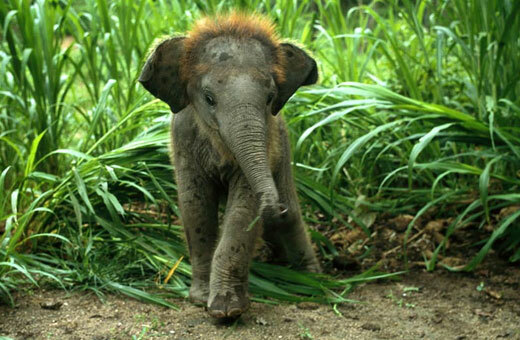 This animal can be seen in tropical and mountain forests, meadows and even desolate bushy areas. Their area of distribution is the Northern part of South America – Panama, Venezuela and Colombia, and there’s also a separate population in the eastern part of Brazil. The animal has an elongated, muscular body, short legs and a short, bushy tail. The Bush Dog looks like a cross between a bear and a weasel. The fur is reddish brown, and rather short, being almost black on the legs. The head is small, but rather bulky, with a short muzzle and very small ears. Unlike most wild dog species, these animals are active mostly during the day. Bush Dogs spend the night in a cave, a cliff gap or some other hiding place. They’re social creatures and spend all their lives in a group of 7-8 specimen. They’re also territorial, which means they mark their territory and don’t allow other groups in. 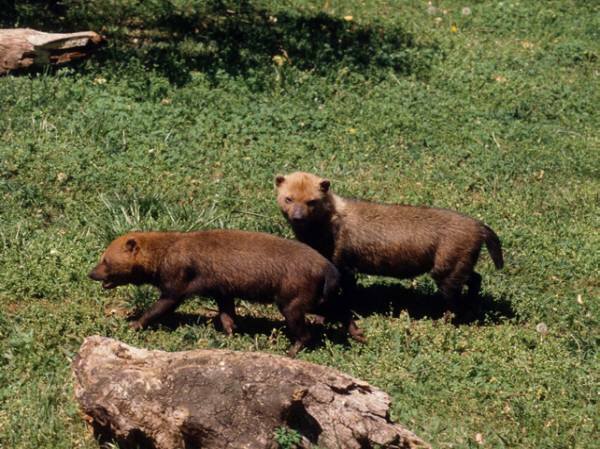 Bush Dogs are fairly aggressive and they will almost always choose to fight instead of running. 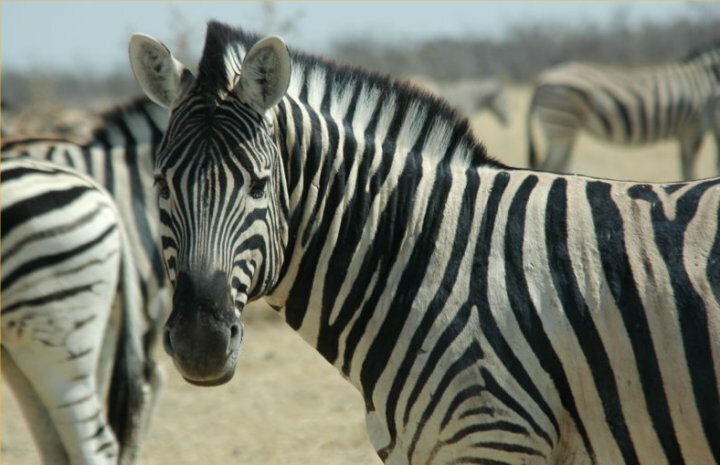 Still, they’re fairly easy to tame and many natives hold these animals as pets or hunting companions. Although they live in larger groups, the Bush Dogs usually hunt either alone or in groups of up to 4 individuals. Even though their length reaches only 60-75 cm, these animals can hunt a creature multiple times their size – even a small deer can become prey. More often, though, Capybaras and small mammals become targets to these relentless hunters. A strategy often used when hunting is that one or a few members of the group chase the prey into water, where other pack members perform a surprise attack. Being excellent swimmers, Bush Dogs have no problem whatsoever to chase the prey in water. Not much is known about the mating habits of this species. 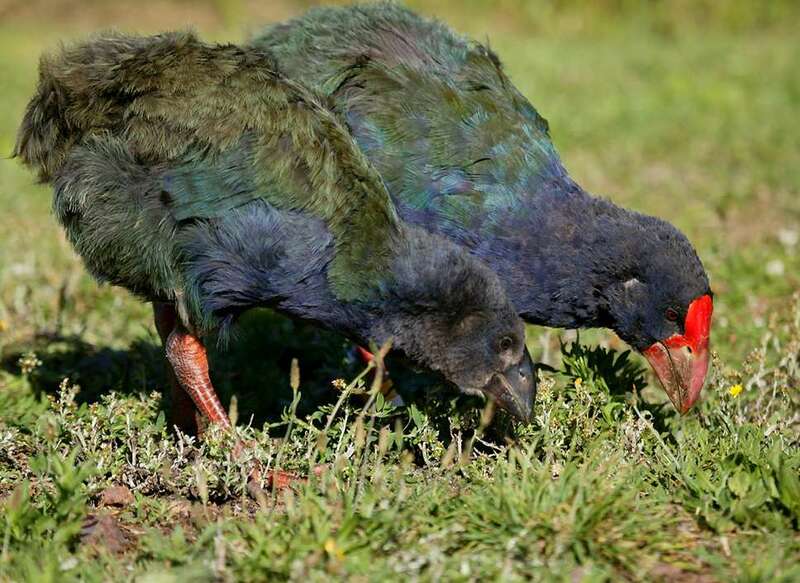 The female is most probably ready to mate twice a year, and most pups are born in October, during the rain period. The gestation period lasts for 65 days and 4-6 pups are born at a time. A few days before giving birth, the female digs a hole, in which the young Bush Dogs spend the first few months of their lives. They’re fed milk for 6 months, and the family stays together for about 18 months. 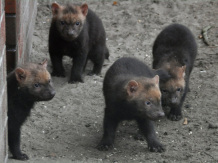 After that, the young Bush Dogs either stay with the already existing pack or for a new one. Despite their adaptability, Bush Dogs are becoming more and more rare. The reason for the decline in population is unknown, although it’s most probably caused by human encroachment and the destruction of rainforests. Currently, Bush Dogs are classified as “Near Threatened” by the IUCN Red List of Endangered Species, although the exact population count is unknown.